BIENNALE INTERIEUR 2016 was a festive occasion for the thousands of international visitors who gathered in Kortrijk, Belgium between 14-23 October 2016, to celebrate its 25th edition! 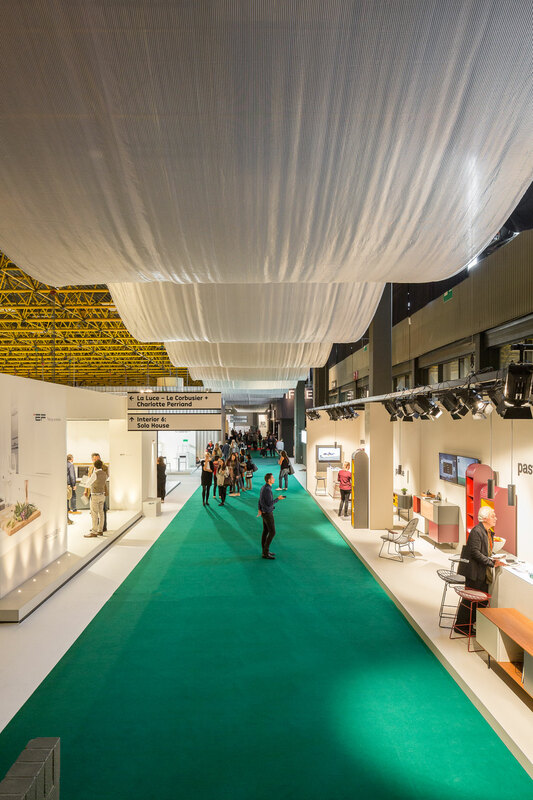 Established in 1968 by Voka - Chamber of Commerce West-Vlaanderen, the event has gone on to attract the very best from the international interior design scene. "Silver Lining - Interiors", was the theme for this year’s event which was curated by OFFICE Kersten Geers David Van Severen in partnership with artist, Richard Venlet, and graphic designer, Joris Kritis, and was perfectly represented in the Silver Lining structure which hung along the corridors between the main exhibition halls of Kortrijk Xpo, not to mention the staff's silver outfits designed by acclaimed Belgian fashion designer, Ann Demeulemeester. Meanwhile, 400 meters away in Voka's new headquarters - designed by OFFICE Kersten Geers David Van Severen and Godderis in 2010 - a retrospective exhibition curated by Katarina Serulus – a recent PhD graduate in Interior Architecture at the Henry van de Velde Research Group (University of Antwerp) and scenographer Ward Heirwegh on the past twenty five editions in honour of its 25th anniversary, guided visitors through INTERIEUR's roots, featuring catalogues and reference works on the participants, projects and honoured guests over the years, as well as all the INTERIEUR posters from 1968 till the present day. 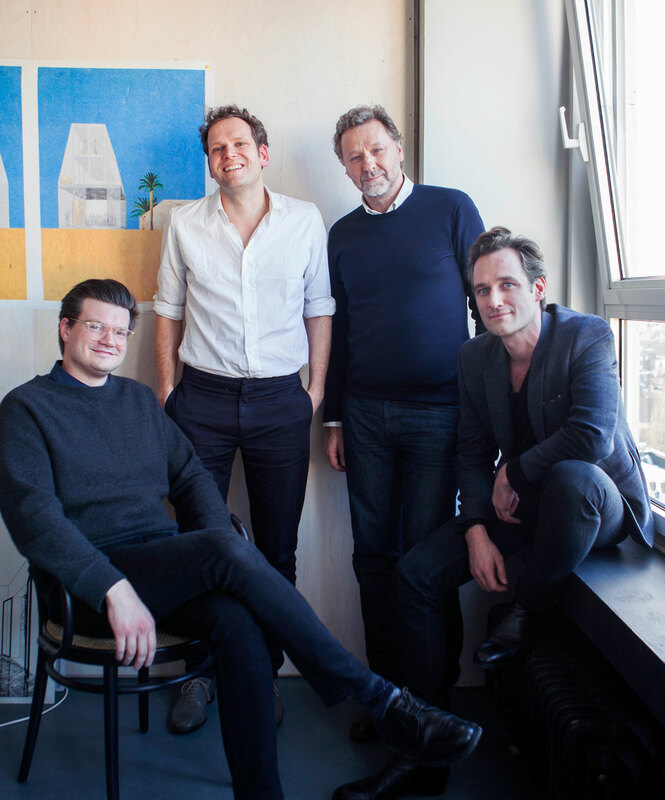 The curatorial team of Biennale Interieur 2016: OFFICE Kersten Geers David Van Severenn, Joris Kritis and Richard Venlet. Other than the Kortrijk Xpo, additional exhibitions - such as WILD THINGS by trend forecaster Li Edelkoort and Philip Fimmano, and Dries Otten's W/O WE ARE THE NEXT GENERATION featuring Flemish design school talents - were curated in the newly redesigned Texture Museum (by Brussels-based noAarchitecten) as well as at its city centre, Vlaskaai building - were we must mention the refreshing JUICE BAR which was designed by Yesmine Sliman Lawton and Perrine Poncelet from Mons. 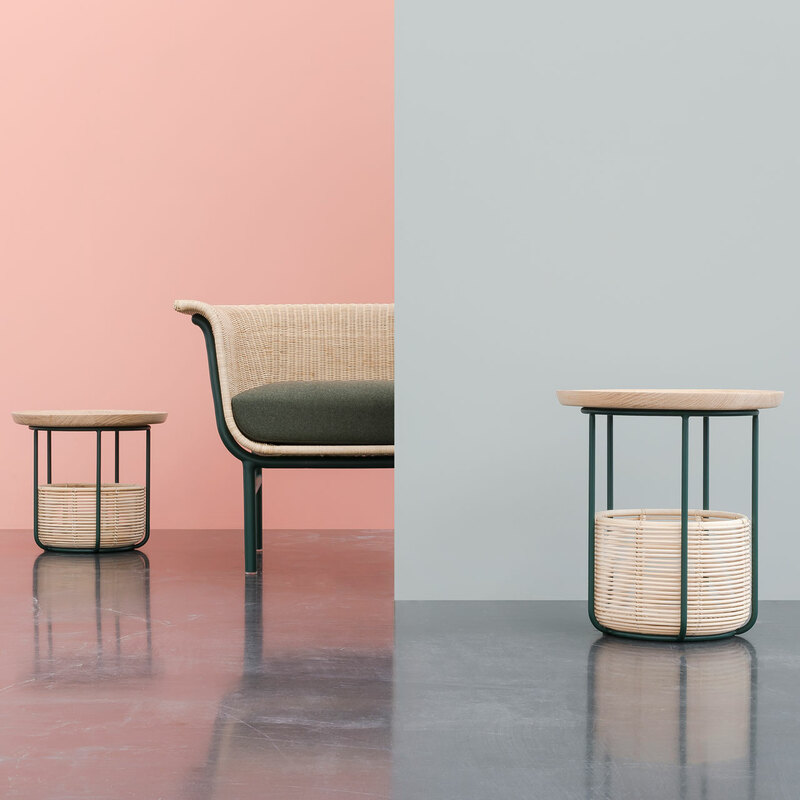 A walk around the city revealed some other not-to-be-missed exhibitions, such as Danish label, Ferm LIVING's pop-up, in collaboration with de Beste Kamer, wherein Ferm's new collection mingled with an URBAN JUNGLE in a historic coach house. 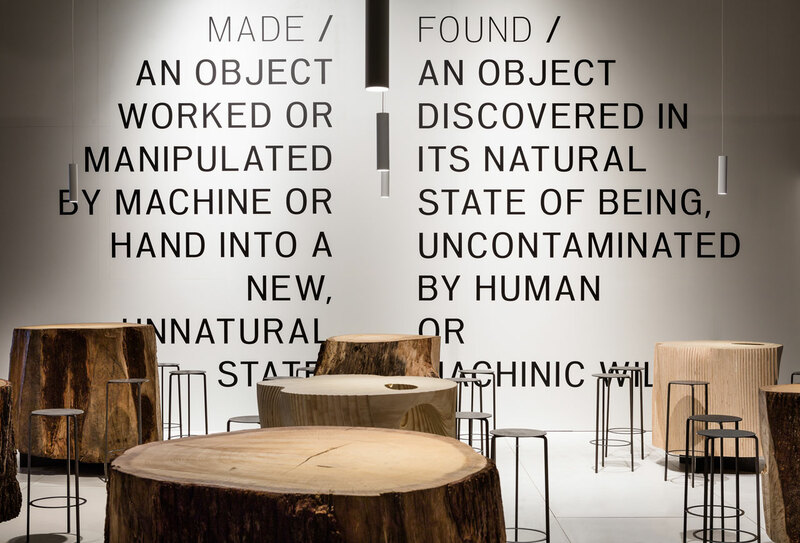 When the coveted Interieur Awards were handed out, Yatzer's founder, Costas Voyatzis, was honoured to be a member of the SPACES Category jury that awarded Le Banquet Gaulois, We Are Family, Terra, NOSE, and Made/Found, the five bar/restaurants constructed at Kortrijk Xpo with their accolades. Meanwhile, for the Objects Category, visitors in the Xpo were able to attend an exhibition featuring the winners, including the Grand Prize winning, "Volumes, Patterns, Textures and Colors" by Dimitri Bähler. 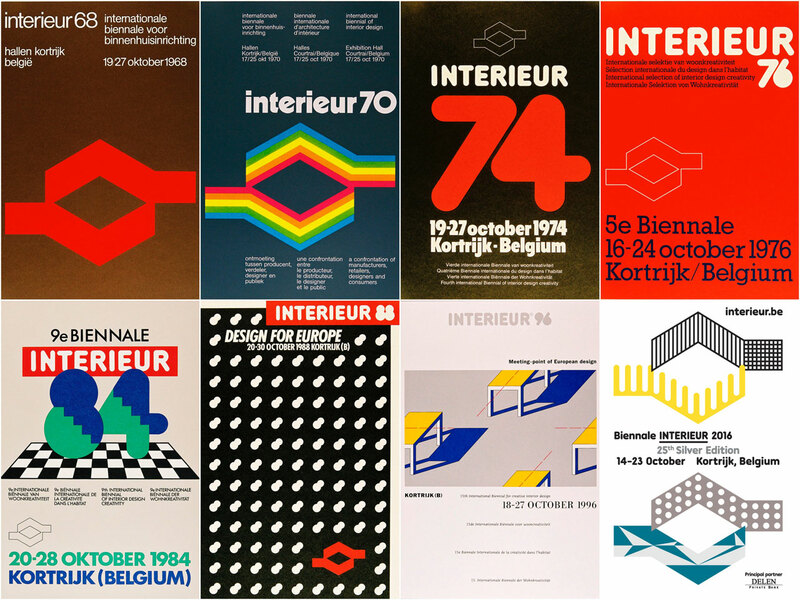 A selection of INTERIEUR posters from 1968 till the present were on display at the exhibition on the occasion of the 25th anniversary of BIENNALE INTERIEUR at the Voka Headquarters in Kortrijk. The exhibition halls of Kortrijk Xpo were linked by a festive SILVER LINING structure that was hanging from the ceiling and guiding the visitors. JUICE BAR by Yesmine Sliman Lawton and Perrine Poncelet from Mons. 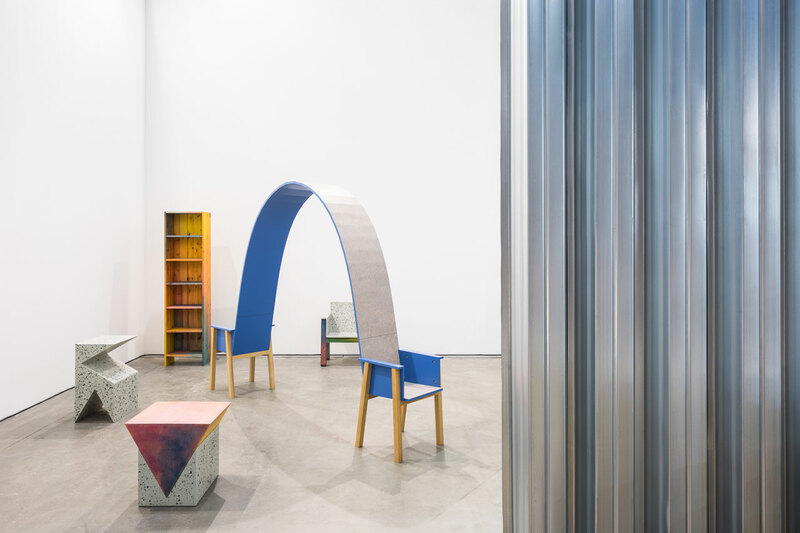 The curatorial team of Biennale Interieur 2016 invited four galleries that explore the boundaries between art, architecture and design to contribute to their theme 'INTERIORS'. Featured here: Valerie_Traan gallery which invited Muller Van Severen to create a space with their first carpet in cooperation with the famous Antwerpian rug house Ashtari and their brand new wire#S series, which Muller Van Severen designed for the ‘Solo House’ of OFFICE Kersten Geers David Van Severen - one 12 prestigious architectural holiday homes in south of Barcelona. While we were dazzled by the inventiveness throughout, a few elements really caught our eye, including the mesmerizing light fixtures of Lambert & Fils Studio's Laurent Collection - inspired by Bauhaus' Marianne Brandt's classic milk globe and featuring a dizzying array of the possible forms that the teaming of a globe and rod can take. Meanwhile, we were drawn to the furniture collection "wireS#" designed by Muller Van Severen for OFFICE Kersten Geers David Van Severen's SOLO HOUSES - crafted from an inox wire net; these pieces are intended for both indoors and out, distilling design down to basics while allowing users to customize each piece with various coverings. 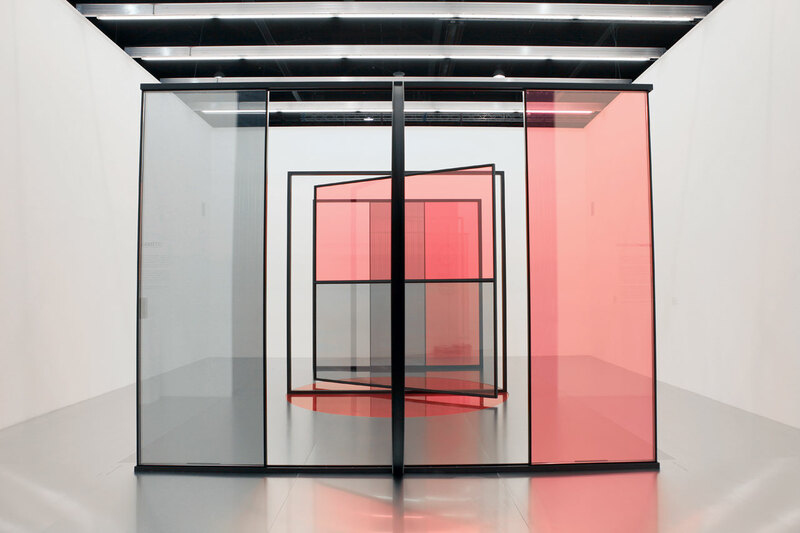 On the other end of the spectrum, Studio Dessuant Bone's "Perpetual Motion" interactive installation transformed windows and doors into movable sculptures utilizing Allaert Aluminium's high-end, low profile frame system, Otiima. Installation view of the GENERATIONS exhibition of highlights of design history from 1968 to today, selected by the curatorial team of INTERIEUR 2016 featuring works by designers and architects as Maarten Van Severen, Jean Nouvel, Ettore Sottsass, Andrea Branzi and Pieter De Bruyne a.o. Rainy Day light sculpture by Beau et Bien. WERSAILLES light sculpture by Beau et Bien. Dancers (2015-16) by French artist and designer Aurelie Hoegy featured in the WILD THINGS exhibition curated by Lidewij Edelkoort & Philip Fimmano. The exhibition will run until December 4th 2016 in the Treasury on the 2nd floor of the Texture Museum. Photo © Bart Van Leuven. Delta Light presented the “Infinity of Light” installation at Kortrijk's Club Design. A black box that seemed to have crashed into this abandoned warehouse, getting stuck between the concrete pillars. 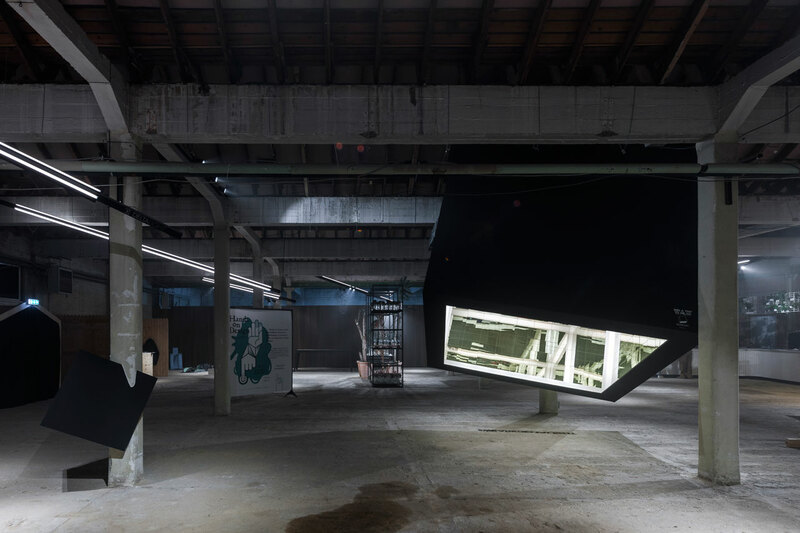 Visitors of Club Design were invited to step into this asymmetrically positioned cube, floating half a meter above the floor at its lowest point. 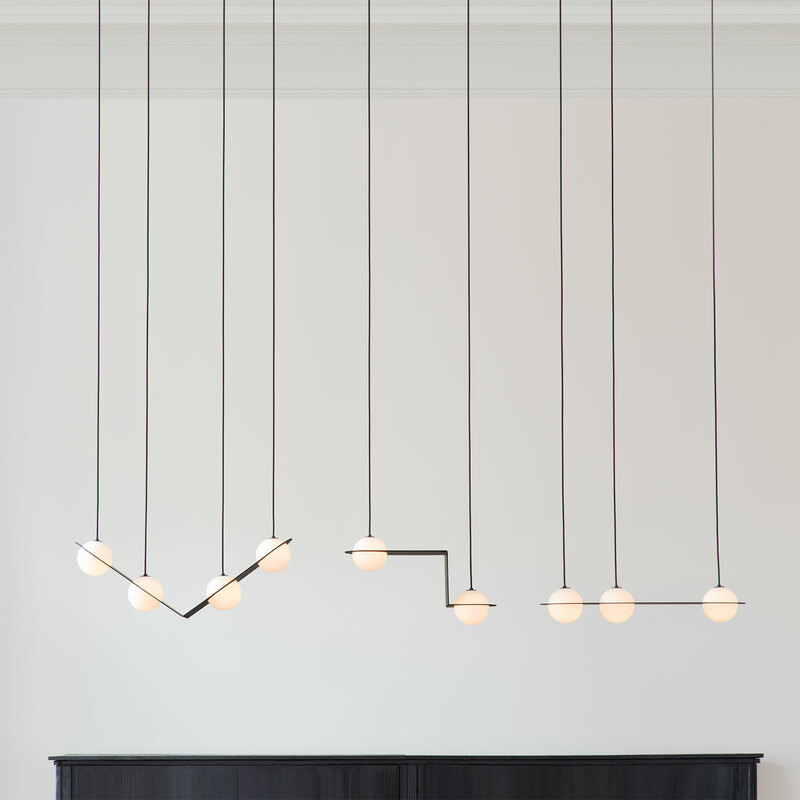 Laurent lighting collection by Lambert & Fils. Musique: "Tin Drum" by Adrian Vedady. 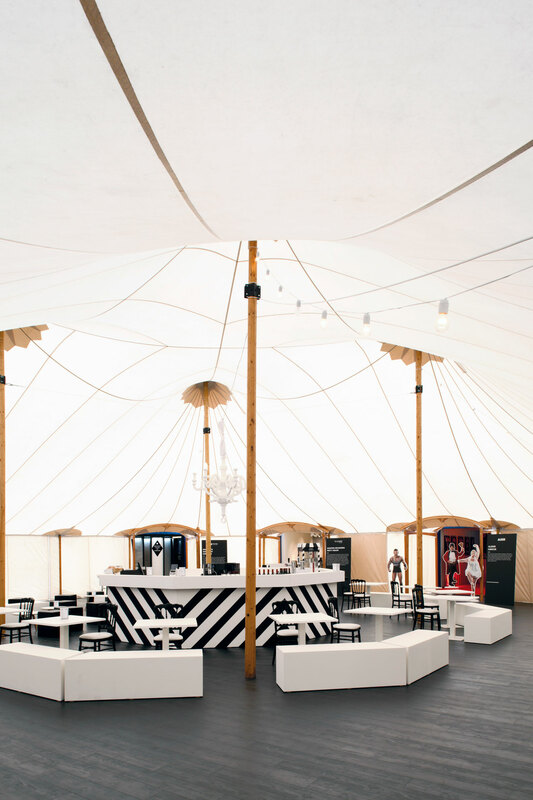 The Circus by King George agency: A pop-up installation connected to the fair where 8 design brands showcase a specific concept in containers in a stylish tent. Rethinking the concept of traditional luminaries KOVR's team has designed an all-in-one solution: high-quality panels with a fully integrated lighting system. 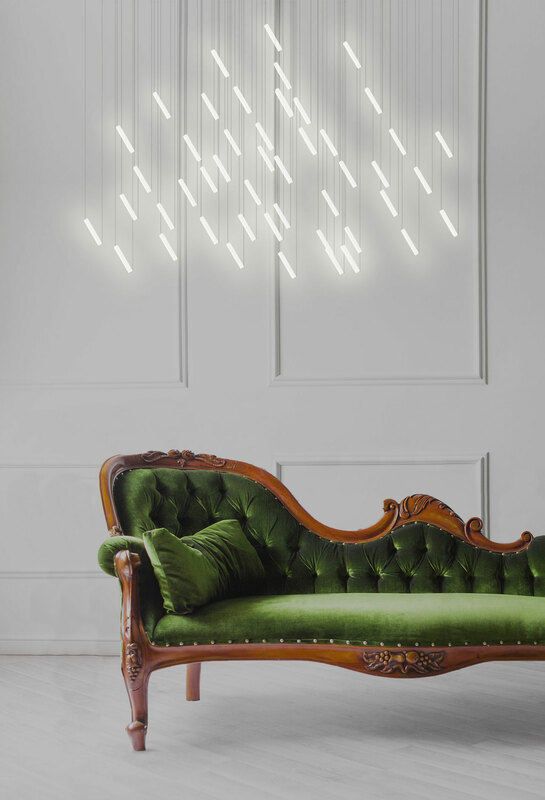 HYDE has LED technology mounted inside the panels, fusing architectural elements and light in an invisible way where light seems to appear out of nowhere. The Wicked sofa and Basket table for Vincent Sheppard by Alain Gilles. ‘Perpetual Motion’ by Studio Dessuant Bone for Allaert Aluminium. 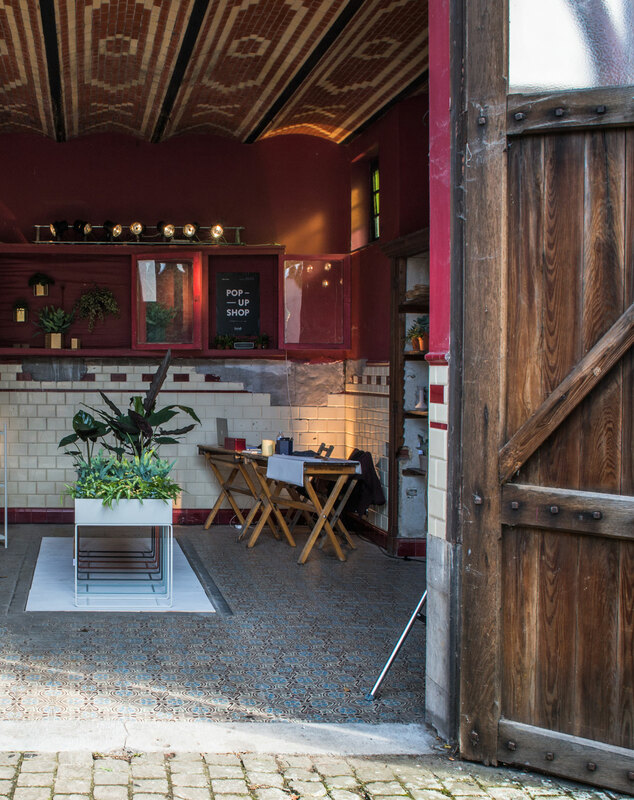 The Solo House project by OFFICE Kersten Geers David Van Severen, part of “Silver Lining - Interiors” exhibition at the Biennale Interieur 2016 in Kortrijk, Belgium. Designer duo Muller Van Severen, visual artist Richard Venlet and artist Pieter Vermeersch have also contributed to this Interior. 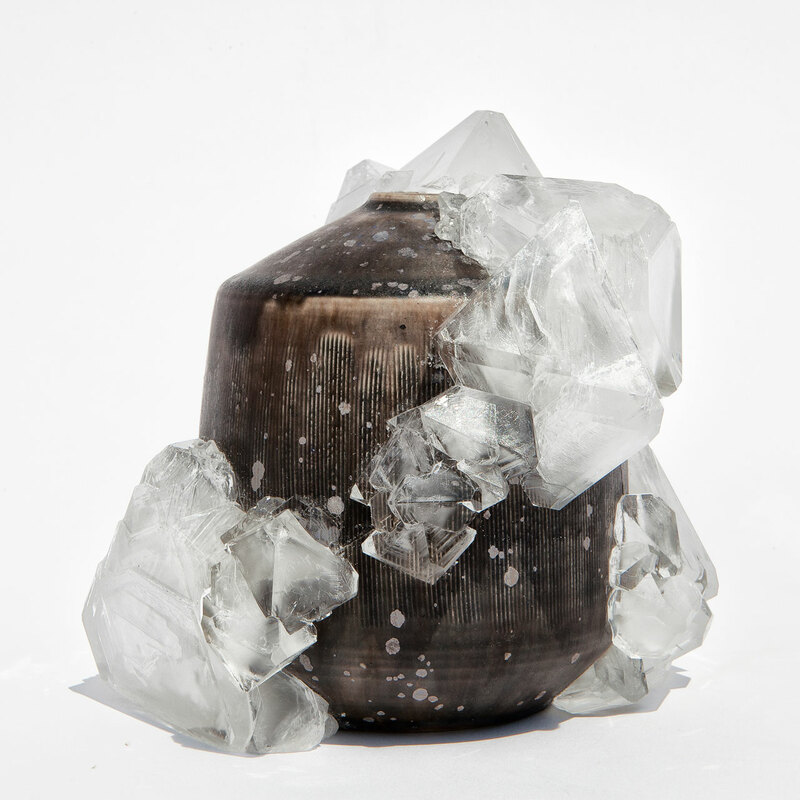 Crystallization 91 (2016) by Lukas Wegwerth featured in the WILD THINGS exhibition curated by Lidewij Edelkoort & Philip Fimmano. The exhibition will run until December 4th 2016 in the Treasury on the 2nd floor of the Texture Museum. Photo © Gallery Fumi, London. Johnston Marklee, in collaboration with Los Angeles designer Jonathan Olivares, have designed the interior installation “Room for a Day Bed” as part of “Silver Lining - Interiors” exhibition at the Biennale Interieur 2016 in Kortrijk, Belgium which has been curated by OFFICE Kersten Geers David Van Severen, in partnership with visual artist Richard Venlet and graphic designer Joris Kritis. 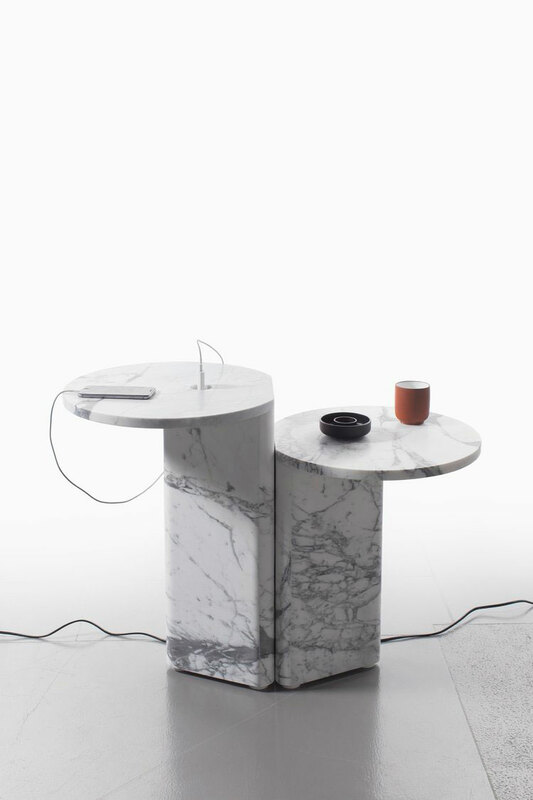 Marble POWER Side Tables by Julien Renault for the ITEMS series of Van Den Weghe. 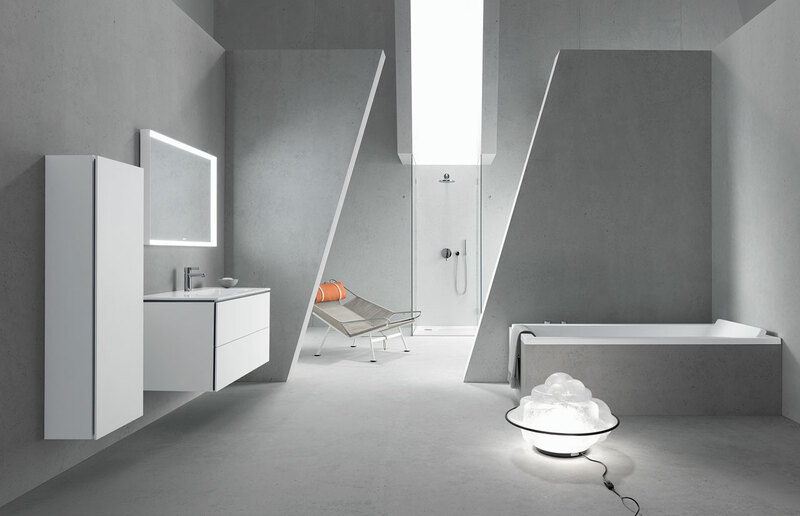 ME by Starck range of ceramics, bathtubs, shower trays and accessories designed by Philippe Starck for Duravit. 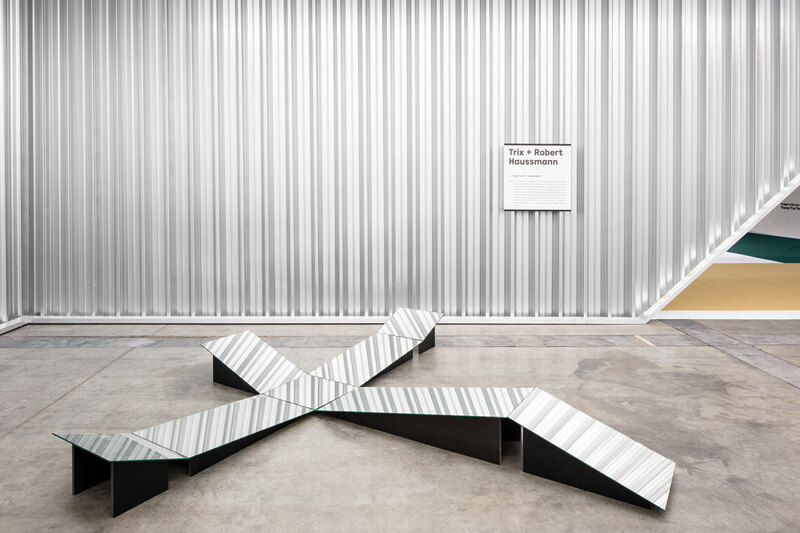 The installation by Swiss architects and designers Trix & Robert Haussmann in collaboration with Swiss curators STUDIOLO – Fredi Fischli & Niels Olsen - as part of “Silver Lining - Interiors” exhibition at the Biennale Interieur 2016 in Kortrijk, Belgium which has been curated by OFFICE Kersten Geers David Van Severen, in partnership with visual artist Richard Venlet and graphic designer Joris Kritis. 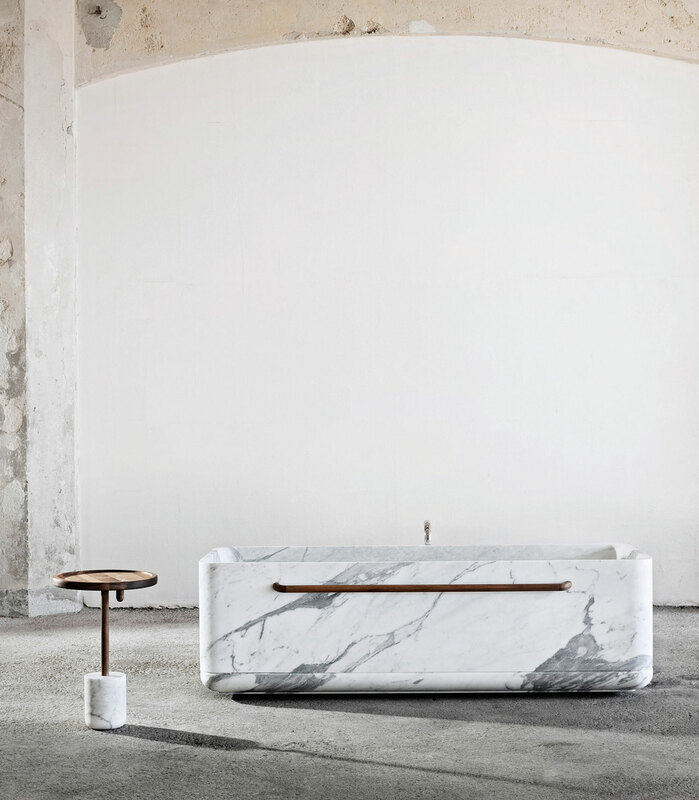 Tavolino side table and Vaska bath tub by Lorenzo Damiani from the MONOLITHOS series of Luce di Carrara. 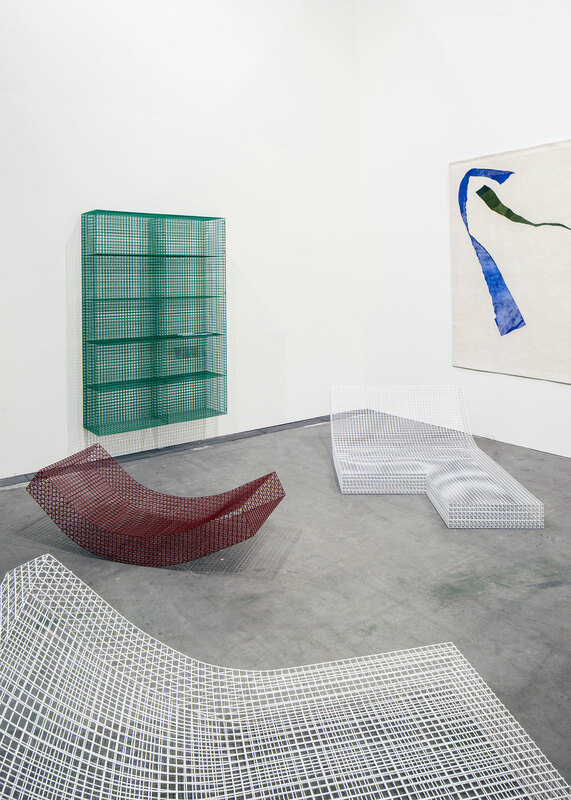 The curatorial team of Biennale Interieur 2016 invited four galleries that explore the boundaries between art, architecture and design to contribute to their theme 'INTERIORS'. Featured here: An installation by Brussels-based Maniera gallery inspired by the open-plan living spaces of Belgian architect Juliaan Lampens, featuring furniture by OFFICE kgdvs, Richard Venlet, Bijoy Jain / Studio Mumbai, aDVVT and our favorite ARC light by Jonathan Muecke. 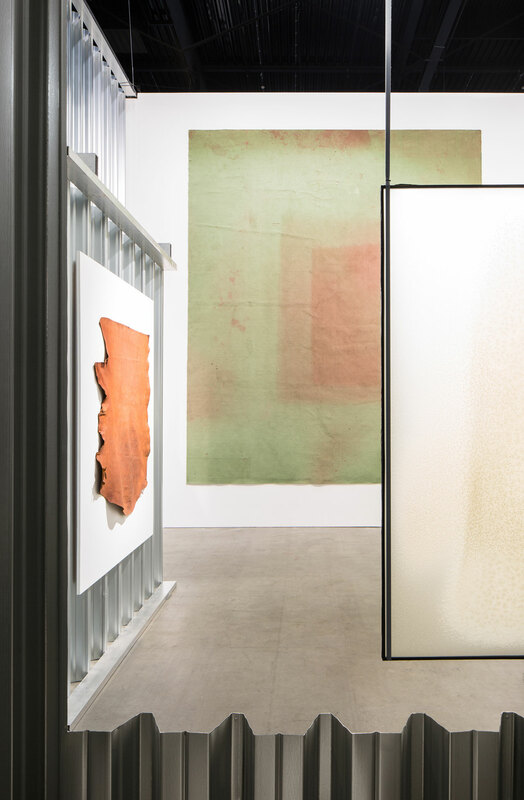 The curatorial team of Biennale Interieur 2016 invited four galleries that explore the boundaries between art, architecture and design to contribute to their theme 'INTERIORS'. 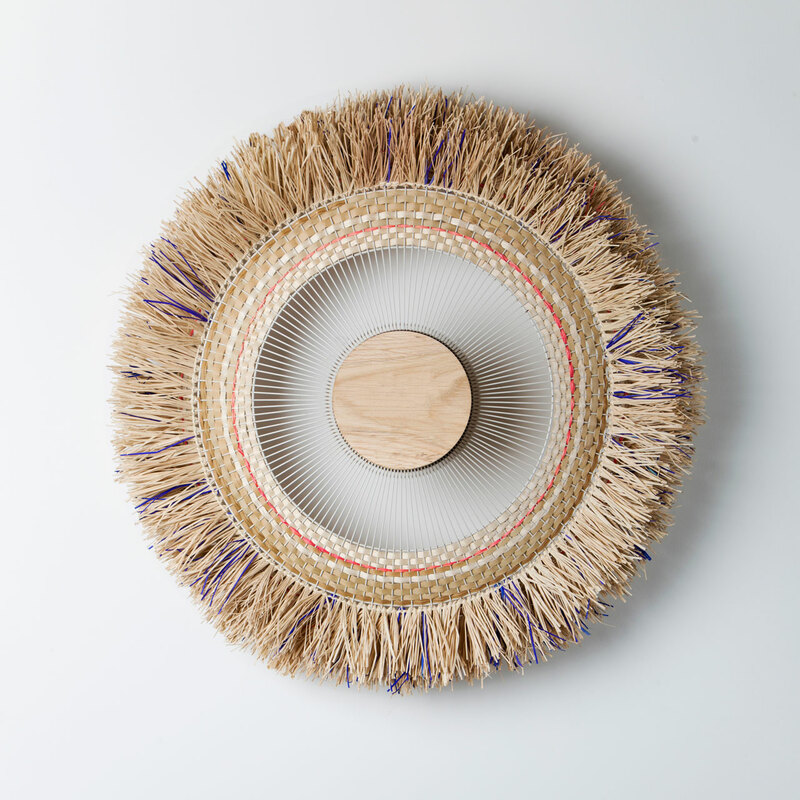 Featured here: Etage Projects from Copenhagen which showcased the work of Fredrik Paulsen. The curatorial team of Biennale Interieur 2016 invited four galleries that explore the boundaries between art, architecture and design to contribute to their theme 'INTERIORS'. Featured here: Beirut based Carwan Gallery presented ROTOR solo exhibition: “Purple, turquoise, pink (brown along the edges)” : deconstructing interiors. 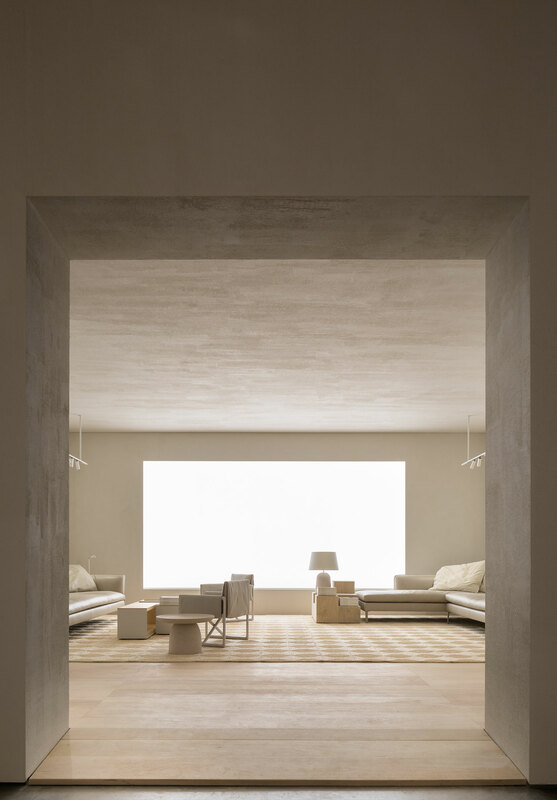 Dimitri Bähler (CH) is the Grand prize winner of Interieur Awards - Objects Category with his 'Volumes, Patterns, Textures and Colors’ project. 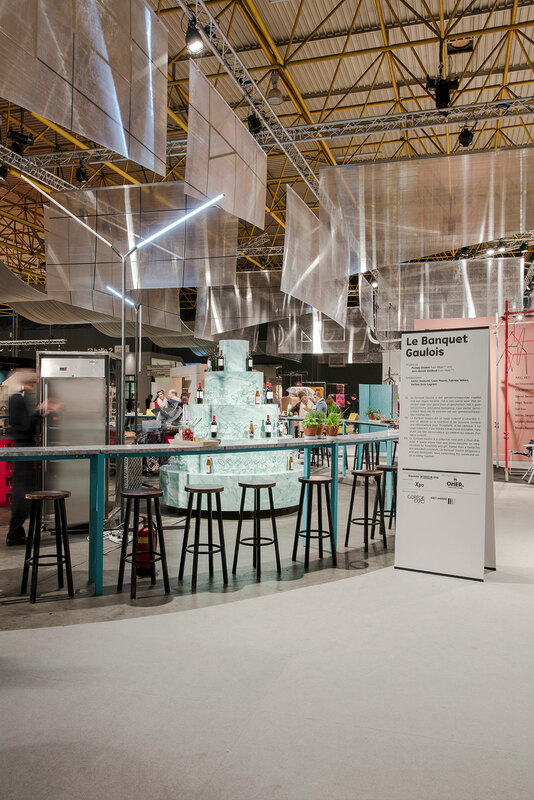 LE BANQUET GAULOIS: One of five award-winning bar/restaurants at Kortrijk Xpo. Concept by Matteo Ghidoni from Milan (Italy) and Jean-Benoît Vétillard from Paris (France). Photo © Piet Albert Goethals. 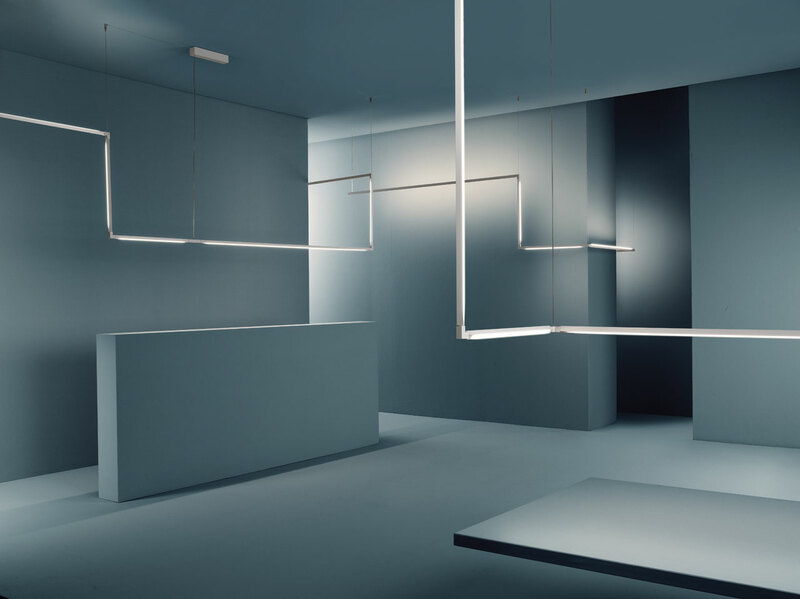 LINESCAPES system by NEMO lighting. 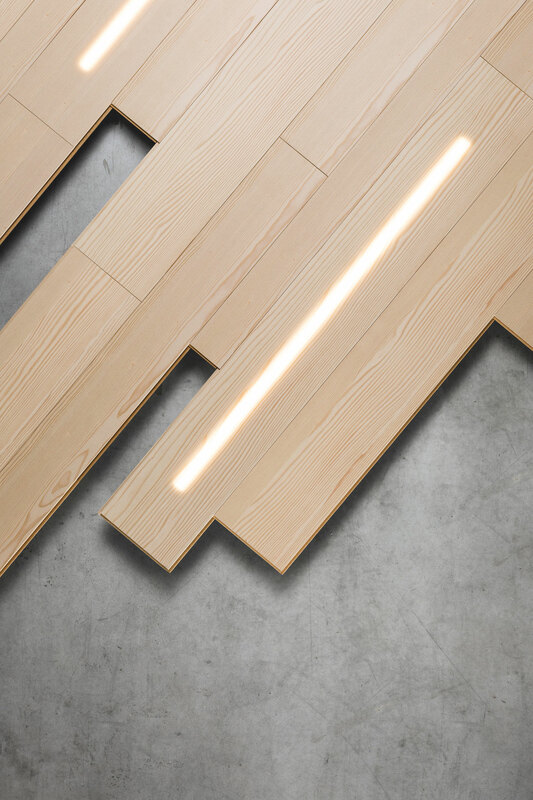 The Linescapes family evolves in a infinitely configurable system with 360° adjustable LED profiles. 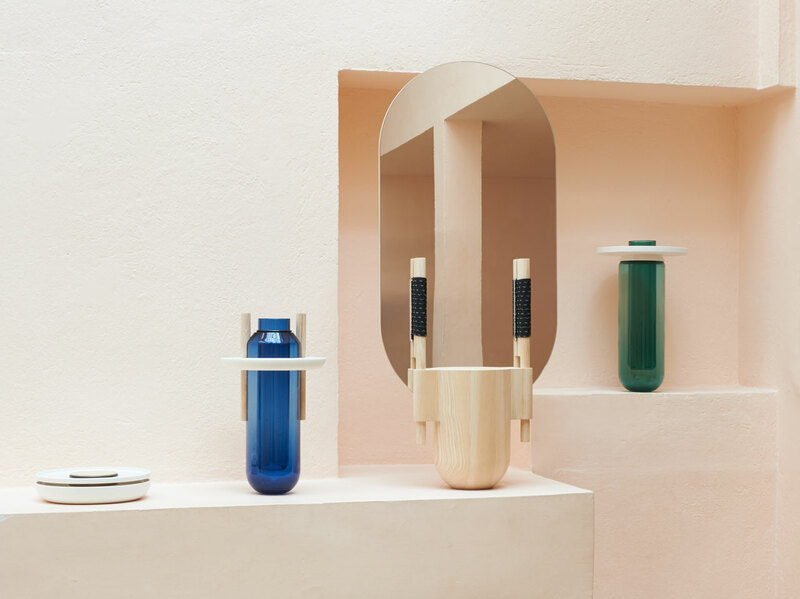 Vases Composés (produced by the Cirva and the Manufacture nationale de Sèvres) Standing Mirror (edited by Galerie kreo and produced by Hubert Weinzierl workshop) and Boxes : Joint Creux (produced by the Manufacture nationale de Sèvres) by French designer Samy Rio. 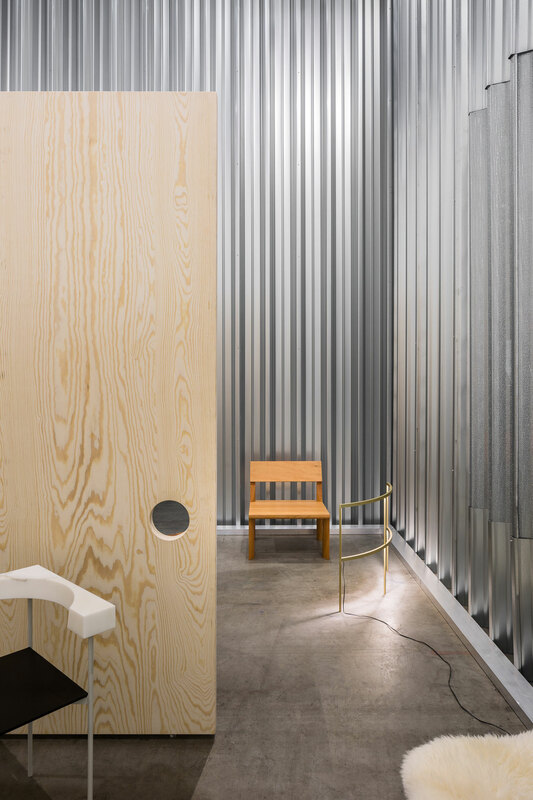 Installation view at INTERIEUR 2016 by Vincent Van Duysen, Designer of the Year. The 'Designer of the Year' award is an initiative by the Biennale Interieur npo and the magazines Knack Weekend and Le Vif Weekend. 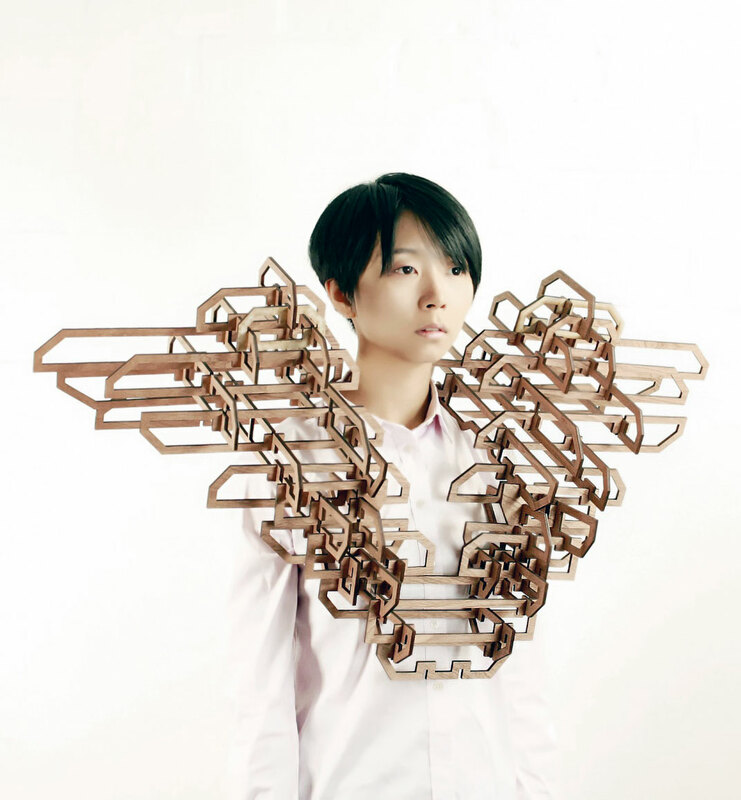 The award is also supported by the Design Museum Gent, Centre d'innovation et de design au Grand-Hornu and Bozar. 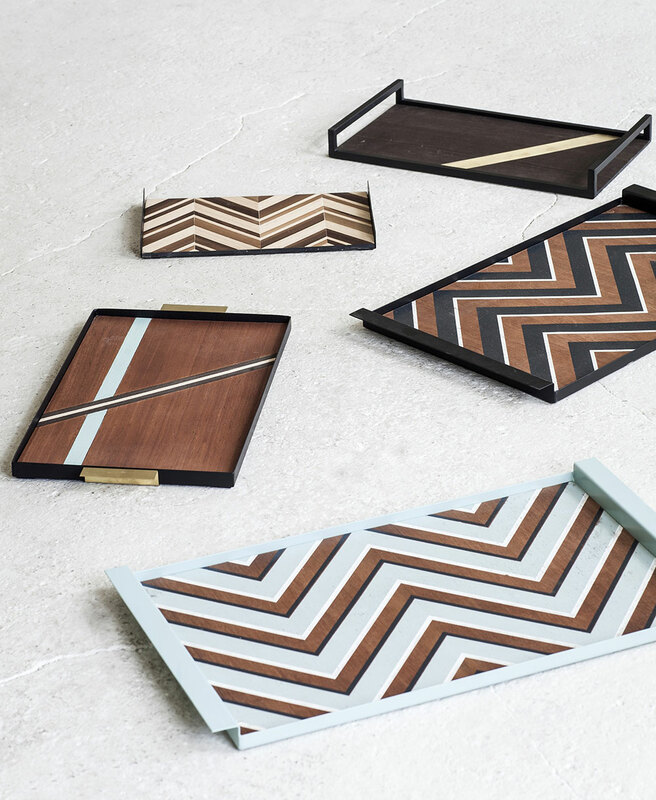 Trays by Michiel Goethals and Mattias Van Mieghem for SERAX. Studio Baj (Jasper Vandenberghe and Wang Fan) presented their MA Collection during the W/O - WE ARE THE NEXT GENERATION exhibition at the TEXTURE Museum. 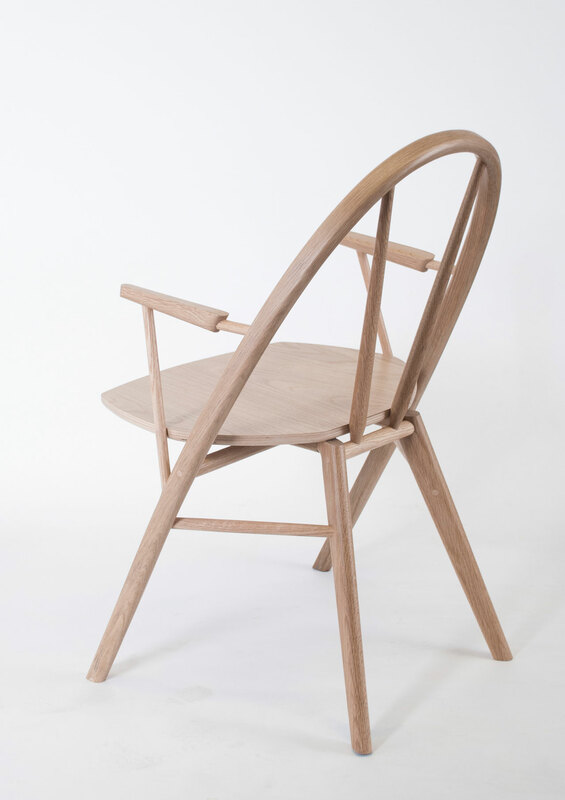 The Bow Chair by Taylor McKenzie-Veal (US), winner of Interieur Awards - Objects Category. Panam Panama (2016) by Léa Beart featured in the WILD THINGS exhibition curated by Lidewij Edelkoort & Philip Fimmano. The exhibition will run until December 4th 2016 in the Treasury on the 2nd floor of the Texture Museum. 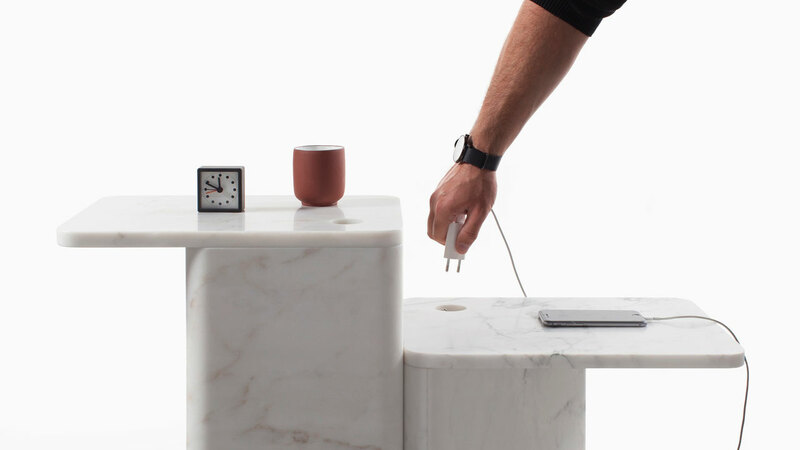 Adaptive Manufacturing, a collaborative project by Sander Wassink and Olivier van Herpt which started in 2014. 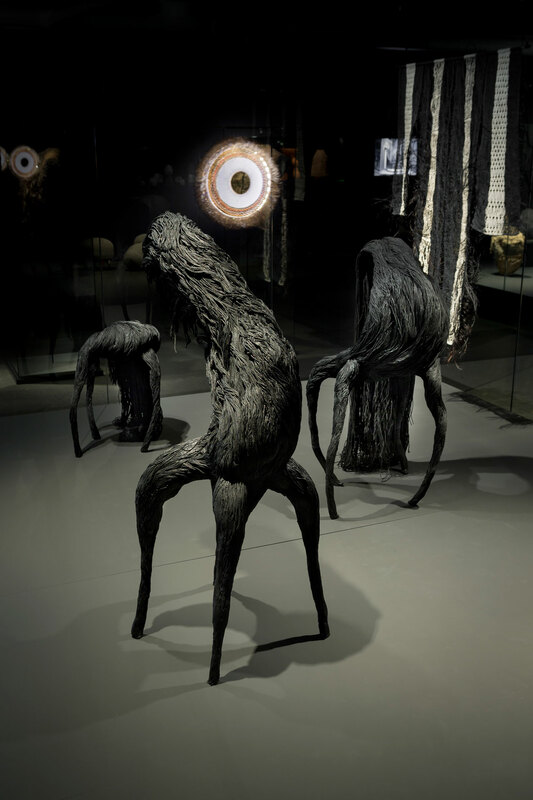 Featured in the WILD THINGS exhibition curated by Lidewij Edelkoort & Philip Fimmano. 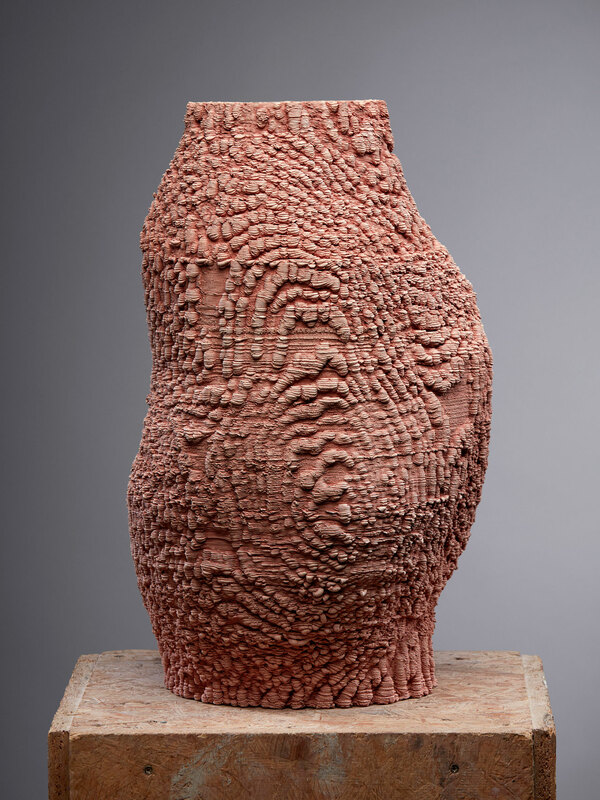 The exhibition will run until December 4th 2016 in the Treasury on the 2nd floor of the Texture Museum. Public art by the renowned Belgian photographer Filip Dujardin at the area around the North Bridge in Kortrijk. 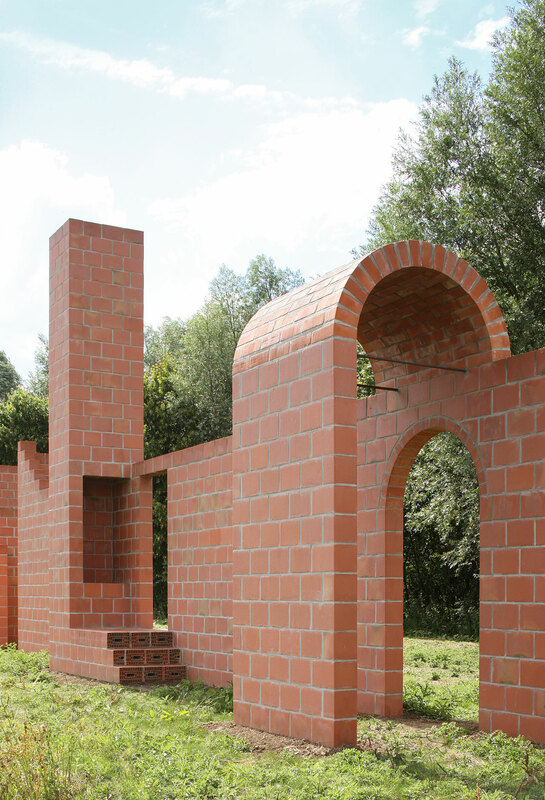 Sequence n°1 is a permanent installation at the river Lys, which unites various archetypes of Belgian architecture. 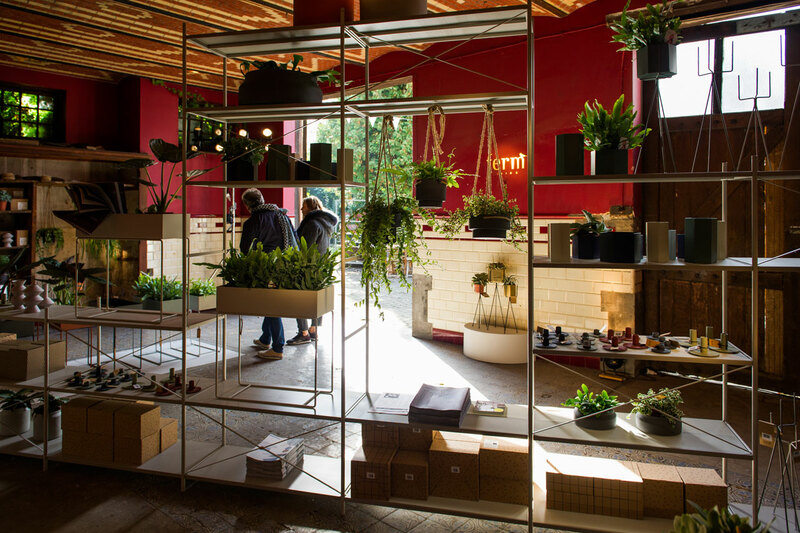 URBAN JUNGLE pop-up shop by Danish label ferm LIVING in collaboration with local furniture shop de Beste Kamer. 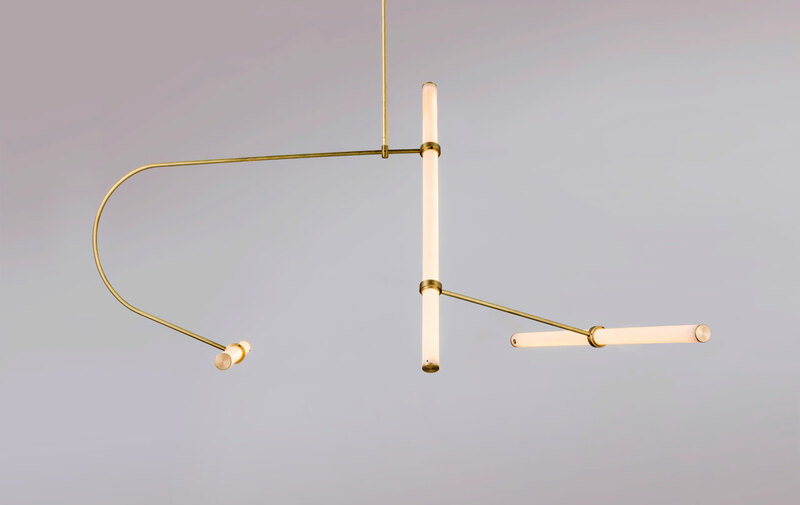 The Tube Pendant Collection: A modular light system designed by Naama Hofman. 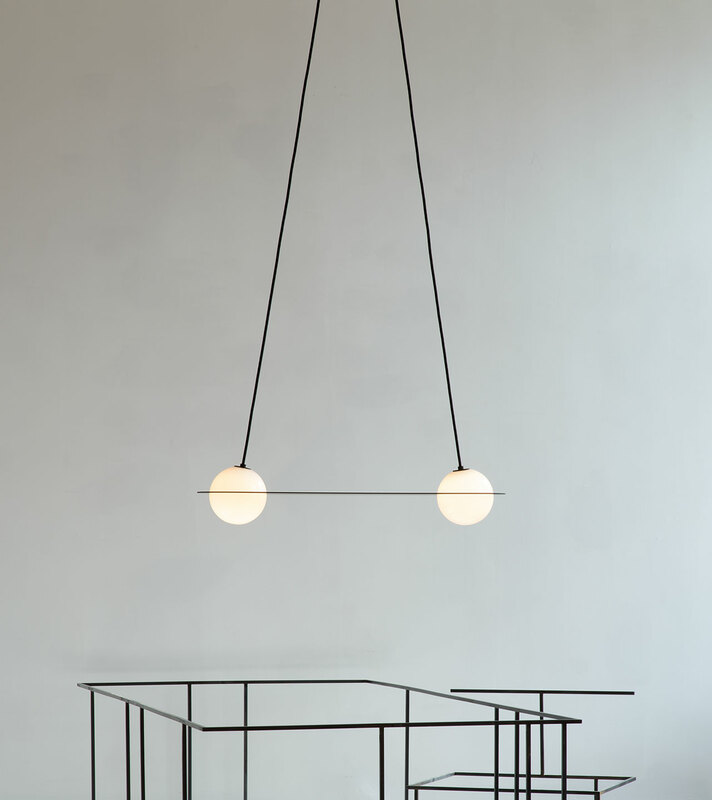 Stadium Light-I by Danish furniture and product designer Niclas Jørgensen. 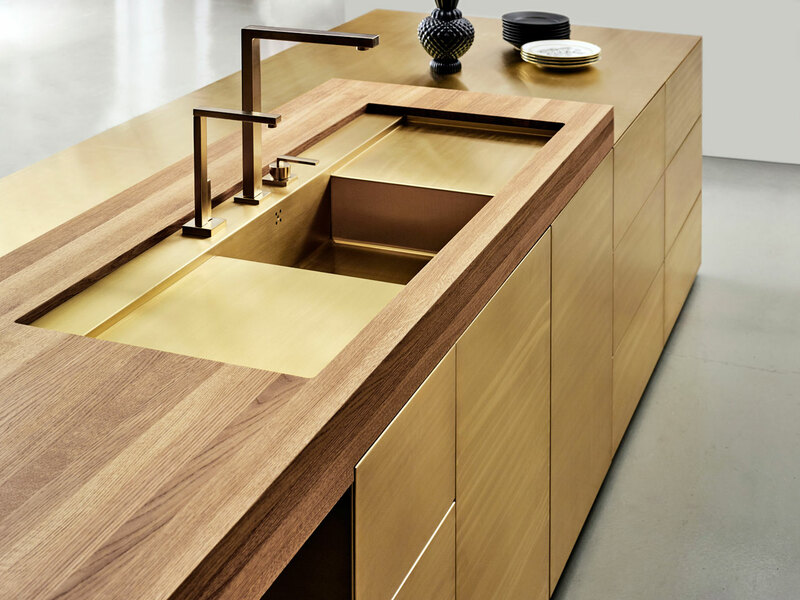 The new Form 45 kitchen in brass, the evolution of Form 1 which was designed in 1982 by Carsten Michelsen founder of Multiform.